Welcome to Mandatory Streamers, our latest column covering the best new streaming content coming your way every week! 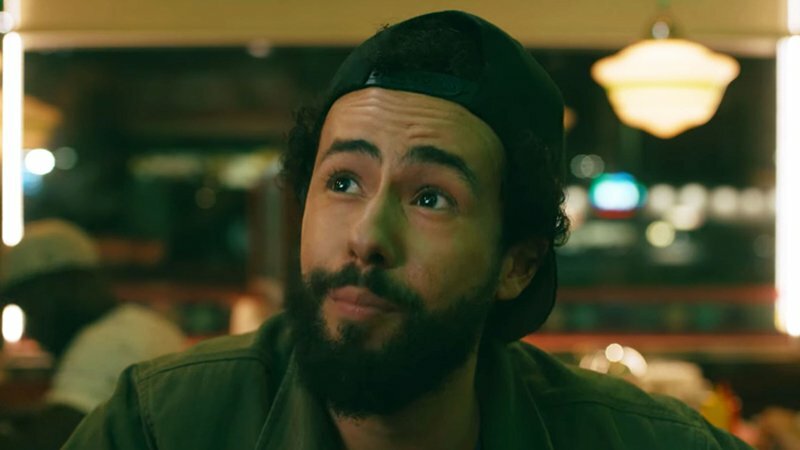 For the week of April 15, Ramy Youssef stars in Hulu’s new comedy series Ramy, which is already receiving rave reviews. Created, written, and executive produced by Youssef, the series follows a first generation Egyptian-American who is on a spiritual journey in his politically-divided New Jersey neighborhood. Check out the best shows debuting and returning online this week as well as the latest renewal announcements below, and be sure to visit our mother site Mandatory by clicking here! Ramy, Series Premiere: The 10-episode half-hour comedy follows Ramy Hassan and brings a new perspective to the screen as it explores the challenges of what it’s like being caught between a Muslin community that thinks life is a moral test and a millennial generation that thinks life has no consequences. The series will premiere on April 19. Life in Pieces, Season 4 Premiere: The Short family is back! The CBS series starring Dianne Wiest, James Brolin, and Colin Hanks is a family comedy told through the separate stories of different family members. The sitcom revolves around the Short family and their sometimes awkward but ultimately beautiful milestone moments as they try to savor those little pieces of time that flash by but stay with you forever. Life in Pieces will stream on April 18. Bosch, Season 5 Premiere: If you haven’t binge-watched your way through the first four seasons of Amazon’s adaptation of Michael Connelly’s best-selling novels, now is the time to start! Season five will be set 15 months after bringing his mother’s killer to justice with homicide Detective Harry Bosch (Titus Welliver) finding himself seeking the truth on two fronts. New evidence on an old case and a fresh murder will send the detective down a dark and perilous path in pursuit of the killers. Bosch returns on April 19. There She Goes, U.S. Exclusive Series Premiere: Starring David Tennant (Doctor Who, Broadchurch), this comedy-drama shines a light on the everyday struggles and triumphs of a family looking after their disabled nine-year-old girl, Rosie. The stories, characters, and situations in the series are drawn from the real-life experiences of writer Shaun Pye, whose daughter was born with a rare undiagnosed chromosomal disorder. There She Goes launches on April 16. Future Man, Season 3: Seth Rogen and Evan Goldberg’s sci-fi comedy will be returning for a third season, but sadly, it will be the last with a final eight episodes. The show follows Josh Futterman (Josh Hutcherson), an uninspired and dejected gamer who quickly becomes earth’s unlikely hero. Josh is a janitor by day/world-ranked gamer by night who travels through time to prevent the extinction of humanity. The first two seasons are currently available to stream on Hulu. Barry, Season 3: Our favorite hitman is coming back as HBO’s Barry has been renewed for a third season! The second season, currently airing, finds Barry (Bill Hader) attempting to untangle himself from the world of contract killing and fully immerse himself in acting. That is, of course, easier said than done as he begins to wonder what is it about his own psyche that led him to become a killer in the first place? You can watch the Emmy winning series on HBO Go or HBO Now with new episodes premiering every Sunday night. Good Girls, Season 3: NBC’s comedy-infused drama starring Christina Hendricks, Mae Whitman, and Retta has received an early third season renewal. The series follows three suburban moms who get trying of trying to make ends meet and decide to rob the local grocery. But when the manager catches a glimpse of one of them and the loot is far more than they expected, it doesn’t take long for the three best friends to realize the perfect getaway will be harder than they think. The series is currently airing its second season, which can be streamed on Hulu, Amazon Prime, or NBC’s website. Hanna, Season 2: Amazon’s adaptation of the 2011 action thriller of the same name has been renewed for a second season after a successful debut on the streamer. The series, starring Esme Creed-Miles, Joel Kinnaman, and Mireille Enos, follows Hanna, who becomes the heart of an unraveling conspiracy and must leave the confinement of the forest to experience life. But once in the world, Hanna is hunted by Marissa and others connected to Hanna’s mysterious origins and exceptional abilities. Stream the first season now on Amazon Prime. Shrill, Season 2: Hulu’s comedy series seeking to inspire everyone to love themselves in their own skin will be returning for a second season! Aidy Bryant’s Shrill follows Annie, a fat young woman who wants to change her life, but not her body. Annie is trying to start her career while juggling bad boyfriends, a sick parent, and a perfectionist boss. All six episodes of season one are available for streaming on Hulu, with an eight-episode second season set for 2020. The post Mandatory Streamers: Ramy Is Hulu’s Latest Must-See Comedy Series appeared first on ComingSoon.net.